Well crafted traditional Dioramas have never been out of style, in fact visitors LOVE them. They are a proven and effective way to mentally teleport people to a different time and place. Our dioramas are hand crafted using materials and paints of high quality. We have a high standard of realism and are they are built to last. Every detail is considered in an effort to produce a clear narrative. At any scale we can re-create a lost time period or landscape with amazing detail! This video takes you into the studio to get a sneak peak into the making of the Noah's Arc Diorama. The arc is based on Islamic Imagery from the Moghul Empire. 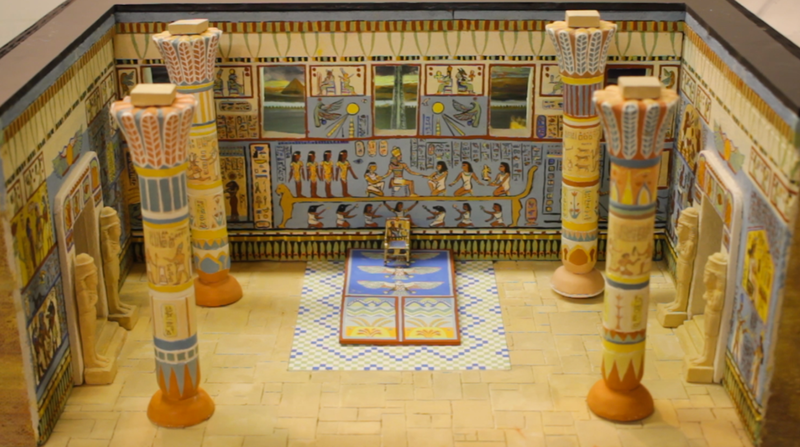 Our team looks to historical sources and gives the special care needed to match color, architecture and the textures to make a realistic diorama that can transport the visior to another pkace. For a scale-model diorama like this one that depicts daily life in the Stone Age China we work closely with specialists in the field to get the details right. They are thoroughly researched and represent the edge of our understanding.